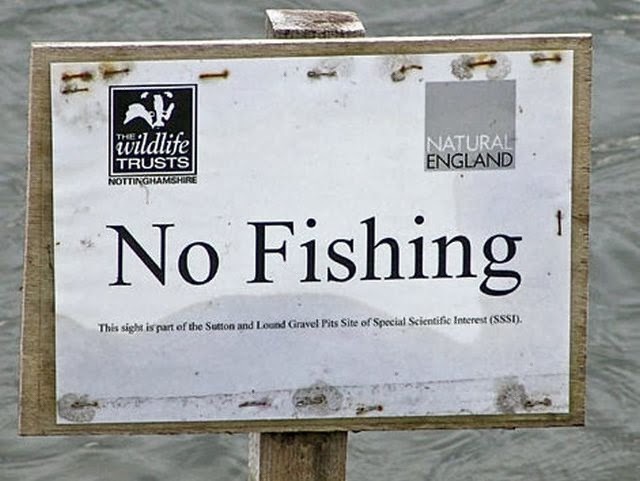 Why would you need to be licensed to fish for natural wild fish that don't belong to anyone? eh? Would golfers be so gullible and queue up to be licensed before they could enjoy their hobby? or bird watchers? or hill walkers! I am seriously considering not renewing my fishing licence next year, not because I can't afford it but because I don't recognise the self emposed authority of the Environment Agency or for them to work in the best interests of anglers, and I don't feel I need to be licensed to fish for wild fish that don't belong to anyone. How can anyone have any rights to 'licence' the fishing for wild natural fish when they don't belong to anyone. Someone's taking the pi55. AND... the Environment Agency, the people we pay our fishing licence money to (approx £20,000,000 per annum) LINK have decided to give over £100,000 of our hard earned fishing licence tax to the Notts Wildlife Trust to help them buy Blotts Pit at Holme Pierrepont Nottingham so they can take ownership of it and develop it into yet another one of their nature reserves. All sounds good doesn't it until you realise the fact that anglers licence money is being given to a wildlife trust to buy a beautiful gravel pit but their policy is NO FISHING on any of their waters. As I once heard one of their spokesman say "We're not anti angling, but we don't allow fishing on our waters" ... ??? OK so you'll take anglers money to help buy gravel pits but won't allow them to fish on any of your waters? 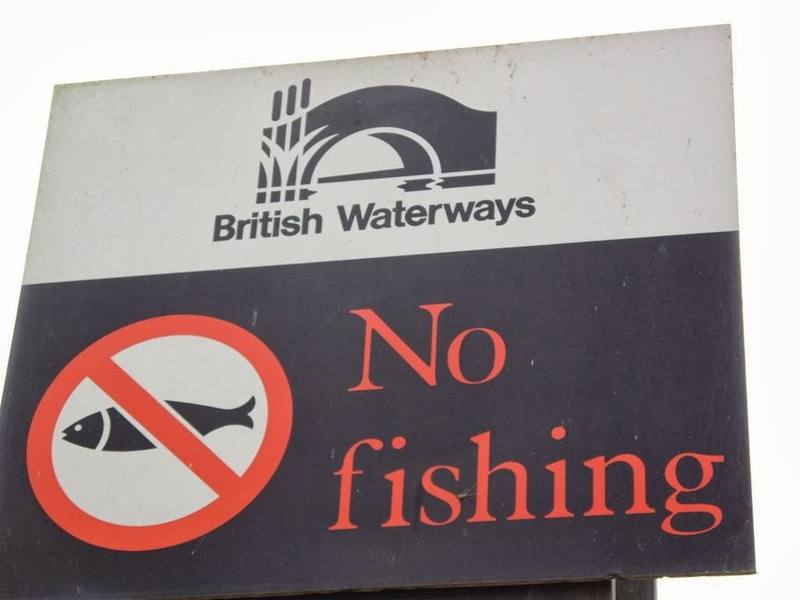 I don't think the Environment Agency are acting in the best interests of anglers here and I don't think they are spending our licence money in the best way to improve angling. Oh... and just because you see a sign saying "No Fishing" THAT DOESN'T MEAN ANYTHING. Anyone can put a sign up saying anything, anywhere, doesn't mean it's right, doesn't mean it's the law. I could put up a sign saying you must do cart wheels but it doesn't have any more or less authority as anyone else’s sign, and if a 'bailiff' of an angling club asks you for ticket money for fishing the river tell him he has no right to take control of a river that's been flowing for 1000's of years as it's a natural flowing river that belongs to everyone and the fish swimming in it are wild creatures and are not his to licence or sell the rights to. Tell him to pay you £5 because you claim the 'talking bolllocks' rights on this part of the river... same thing. Hello Tom, I don't get much time these days for fishing but I keep hoping to get out more soon. The London Road stretch of the canal is always worth a few hours on the right day but I'd wait until the colour starts to clear a bit. It never fishes well when it's chocolate brown like it is at the moment but there's pike, perch and the chance of the odd zander. with the river) Lovely place to wander around for a few hours with a lure rod. The Trent is always good to explore, 10 mins in each likely looking spot and move along. I look for deep steady margins with reeds down the side. A few good spots to try are below Beeston Weir on the Clifton side and below the slalom course at Holme Pierrepont can be good or just explore and have a wander down and chuck in.